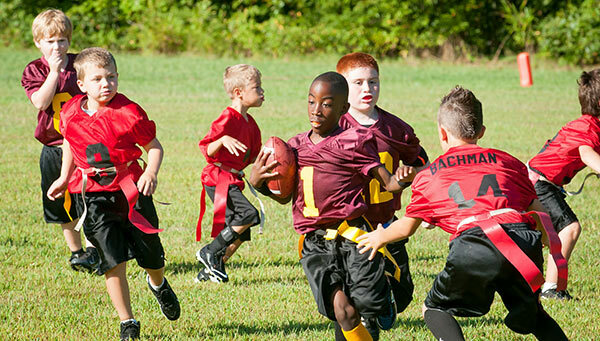 With summer winding down and fall around the corner, a lot of schools are starting up practice for their sports teams. Sports such as cheerleading, gymnastics, cross country, soccer, tennis, volleyball and of course football all start up in the fall. Most of these sports start meetings and practices well before the school year starts. Football usually starts mini camps to help get kids in shape and teach more of the fundamentals of football. Football is also known for the two a days practices as well, in August. With any sport that starts in the hot August months, your child should make sure to have plenty of fluids. Heat exhaustion and dehydration can set in quickly so staying hydrated in the hot weather is always a major concern. Local Westland High Schools such as John Glenn High School and Wayne Memorial High School will be expecting a physical for every athlete. Having a sports physical done for your child is always highly recommended. With a yearly physical, you will know if your child is healthy enough for sports and help catch any ailments that might have been missed. Sports physicals are sometime known as pre-participation physical exams. The reason for a sports physical is to examine the child’s health, fitness level, well-being and risk of injury. One of the best clinics in Westland to get a sports physical is Westland Clinic. Our doctors can provide a thorough physical for your child so you can have the piece of mind that your child is physically fit to play sports. At Westland Clinic we have been providing health care to the Westland area for over 40 years and our experienced staff is always eager to help you and your family. In Westland if you need a sports physical or a medical examination, Westland Clinic is the place for you. Give us a call today at 734.728.2130 or fill out our contact form to schedule a appointment today!